When Cash was planning the proposal and was telling me his ideas I knew we had to make it a complete surprise because she knew it was coming. 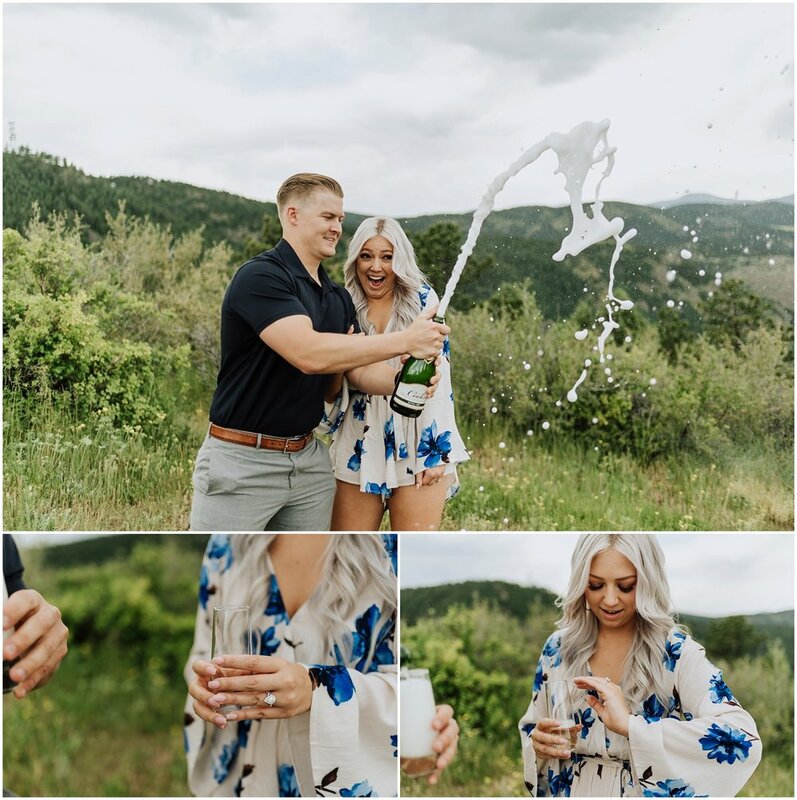 What better way then to fly her to a different state ;) Here is the story of their surprise Colorado mountain proposal! This was tricky to plan because we had to coordinate between our moving schedule and their trip to Hawaii, so it really didn't give us much time. When Andy moved they made a guy's trip out of it, so we pitched pitched the idea of a girl's trip and she totally bought it! I told her we would do some photos, so I could have some content to share with the Colorado background right away that way she was sure to look her best. We had scoped out a spot when I went to visit Andy and get an apartment, so we checked that off the list. I had a friend of mine, Ashley, do a little styling; checked that off the list. The only thing left was the beautiful couple! There is only a small parking area and I was so nervous that she was going to notice Andy's car or we weren't going to get a spot, but God was with us and that part went great! It's not a long hike, maybe 5-10 minutes max, but it's pretty much all up hill and add in the elevation and we were dying. Cierra was such a trooper and did the entire climb in wedges while I was all, but running trying to make sure I stayed ahead of her, so I could get in position. When we finally made it to the top and to see the look on her face when she saw Cash, made it all a million times worth it. He walked her over to the little spot and got down on one knee with the majestic Colorado mountains as the backdrop and she said YES! We popped champaign and it was so incredible to share that moment with them.